A U.S. Congressman from Arizona is the latest lawmaker to set his sights on prepaid cards in a bid to combat the growth of tax refund fraud. Rep. Matt Salmon (R-Ariz.) recently introduced a bill that would ban tax refunds from being loaded onto a prepaid card unless the identity of the accountholder has been “verified by an office or employee of the Department of the Treasury.” The Individual Refund Security Act also would require any refund to an approved prepaid card be made at least 21 days from the date of filing. In March, Salmon sent a letter to the IRS requesting more information on ID theft tax fraud related to prepaid cards, and the agency’s efforts to deal with the issue. The bill currently is pending in the House Ways & Means Committee and its prospects to move forward are small given the short time left in the legislative session, industry sources suggest. 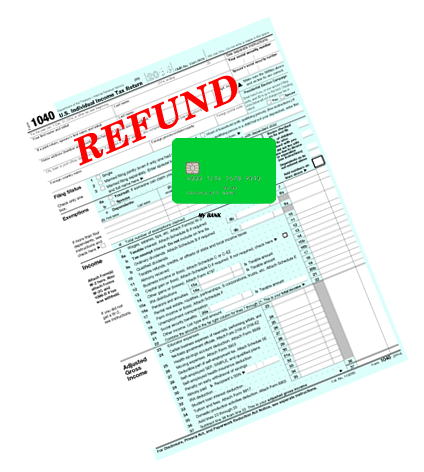 Previous legislative efforts to restrict prepaid cards from receiving tax refunds have died in committee or currently are stuck there, including the Identity Theft and Tax Fraud Prevention Act of 2015 sponsored by Rep. Bill Pascrell (D-N.J.), which required all new financial accounts to be labeled “at-risk” if the accountholder’s identity is not verified by direct review of a government-issued photo ID. Many in the prepaid industry contend that the bills are misguided in focusing on prepaid to stem the rising tide of ID theft tax fraud, arguing that prepaid providers already perform CIP and other authentication methods on cards that receive tax refunds, and that efforts would be better spent on making it more difficult for fraudsters to access personal information to file fraudulent returns in the first place. The prepaid industry is working closely with the IRS as part of the Security Summit, a wide-ranging, public-private initiative to stem ID theft tax fraud. Launched in 2015, the initiative already has resulted in new safeguards and increased information sharing between the IRS, states and private sector, IRS Commissioner John Koskinen said last week at the NBPCA Power of Prepaid conference in Washington, D.C. The Security Summit now is a permanent part of the Electronic Tax Administration Advisory Committee, for which the IRS is accepting applications for up to 10 new members through May 11. Tamara Powell, program manager, business performance lab return integrity and compliance services, IRS, praised the prepaid industry’s efforts to spot suspicious activity. Somewhere between 94 and 97 percent of the external leads the IRS receives from outside sources turn out to be fraud, she noted during a conference panel. “Your filters are working,” Powell said.